39 Grand Banks Eastbay SX (salon express) "Volunteer" has been meticulously maintained by her past and present owner. Heated inside winter storage. Powered with twin Cummins QSB8.3 490HO she will comfortably cruise in the mid to high 20's.  Recent Furuno electronics installed 2018. Her flag blue hull is in excellent shape. She matches her classic beauty with pure exhilaration at every turn. Atop a proven deep-V hull designed by C.R. Hunt Associates, the 39SX easily tops 30 knots while keeping dry and steady through any sea. Enjoy incredible visibility from the helm and throughout the salon, which opens to a spacious cockpit with teak deck, pop-up fender cleats and built-in seating with ample storage. a short launch ride from the Newport International Show. The 39 Eastbay marks the evolution of an icon, the successor to the pace-setting 38EX that launched the series for Grand Banks - and pioneered the contemporary Downeast cruiser for boaters everywhere. With graceful, sweeping lines, the 39 Eastbay complements her stylish "curve appeal" with a powerful set of performance features, matching classic beauty with pure exhilaration at every turn. Atop a proven deep-V hull designed by Ray Hunt Associates, the she can easily top 30 knots while keeping dry and steady through the waves. Inside, you'll enjoy outstanding visibility from the helm and throughout the salon, which opens to a spacious cockpit featuring a large teak deck, large lazarette, and classic GB amenities like pop-up fender cleats. This is a well maintained example of the 39 Eastbay SX. 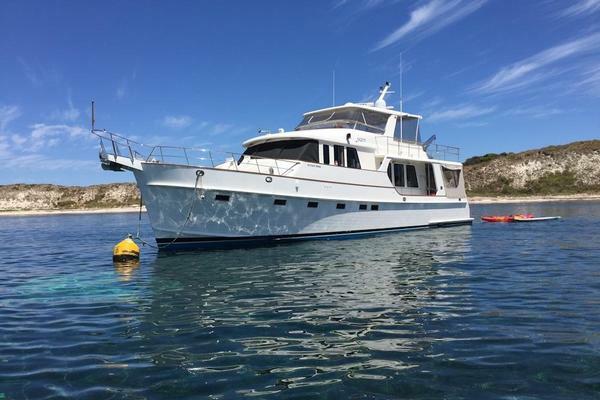 This meticulous owner is now offering this vessel for sale. The preferred Cummins diesel engine package delivers quiet and efficient power in a vessel that performs as sleek as she looks. 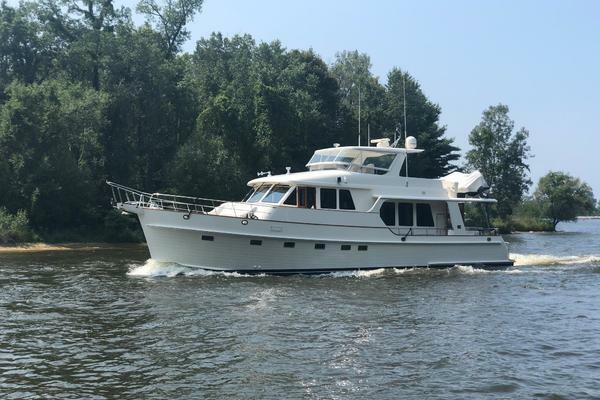 A proven deep-V hull designed by C. Raymond Hunt Associates, "Volunteer" cruises in the mid 20's and can easily top 30 knots while keeping dry and providing a smooth ride. Inside, you'll enjoy outstanding visibility from the helm and salon, with opening windows and hatches for plenty of fresh air when the weather is nice. Walk out of the salon into a spacious cockpit featuring a teak deck, ample seating, large lazarette, and classic Grand Banks appeal. The 39 Eastbay sleeps four between the large island berth in the master and the convertible settee in the lower salon area. Upgraded innerspring mattress forward. Large head and separate shower stall. Entertainment center in salon opposite a large comfortable sofa, lots of storage for extended cruises or short hops on the weekend. Stidd helm and companion chairs provide a comfortable ride. Teak and holly flooring throughout along with upgraded teak interior give this boat a warm feel. Very nice open feeling in galley, solid surface countertops, deep sink, tundra refrigeration and electric cooktop make the galley very functional. There is ample locker storage in this area for storage of food and dry goods. 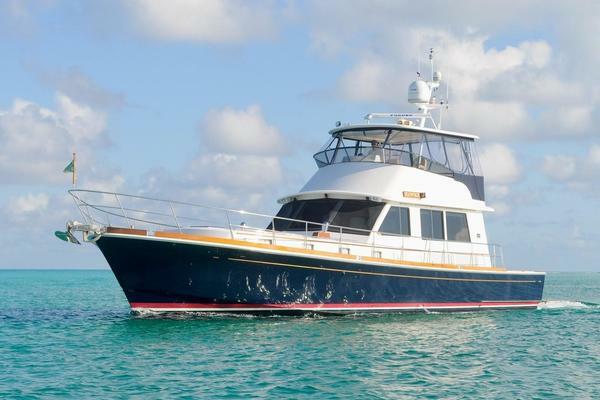 Our Grand Banks listing is a great opportunity to purchase a very nice 39' 39 Eastbay SX. 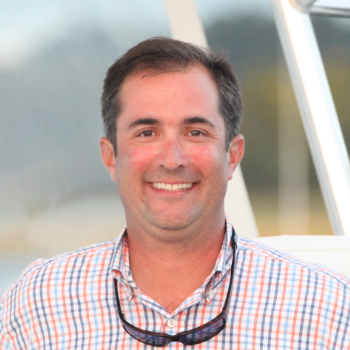 She is currently listed with United Yacht Sales broker Joe Guard who can answer all questions about the boat for you. Please don't hesitate to reach out to our team of professional yacht brokers to schedule a showing. There are many yachts listed for sale on the MLS each with a different history. We look forward to helping you complete your search for the perfect boat or yacht for sale.